Home »	Optimize » How to turn off location services on Windows 10? Issue: How to turn off location services on Windows 10? Hi, I have recently noticed that many Windows apps are tracking my location. Even though I am aware that I was the one who granted these permissions, there are some apps that I wouldn't like to use location services. Can you help me to turn off location services on Windows 10? 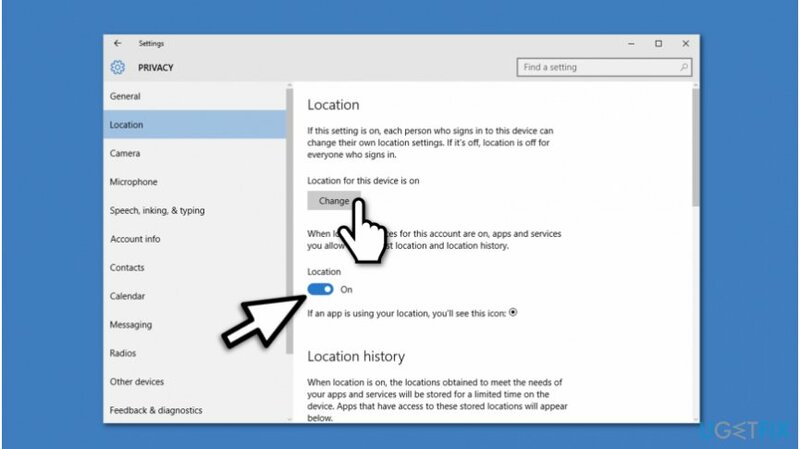 Windows 10 built-in location services is a feature which allows some or all applications to track your location. On the contrary to smartphones, some computers don't have GPS capability. Although, they can identify your location by Internet Protocol (IP) address or Wi-fi positioning. 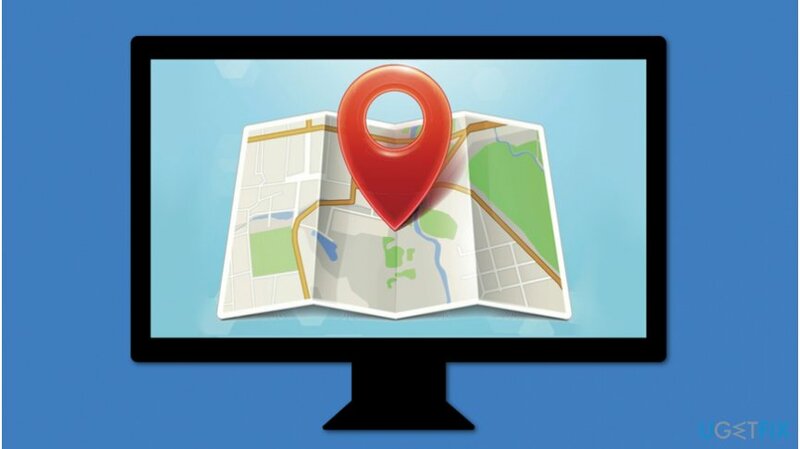 Location services in Windows 10 are required for users to enjoy their digital experience when using such features as Maps, Weather or while receiving search query results that would be more accurate for the user. Note that your location is stored on Windows database and is provided to the apps which request it. Even though the user's location is considered to be non-personally identifiable information, you should take appropriate care of it. 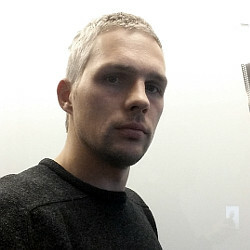 Be aware that if your computer is infected with a potentially unwanted program (PUP), it might access such details and misuse them for advertising or other purposes. Luckily, Windows location services can be turned off quickly. 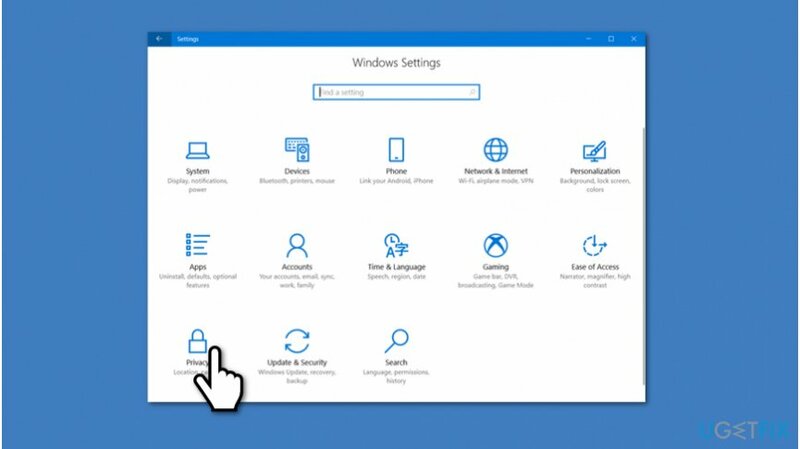 There are two options to turn off location services on Windows 10 — you can either disable location tracking for a specific account on your computer or all of them. 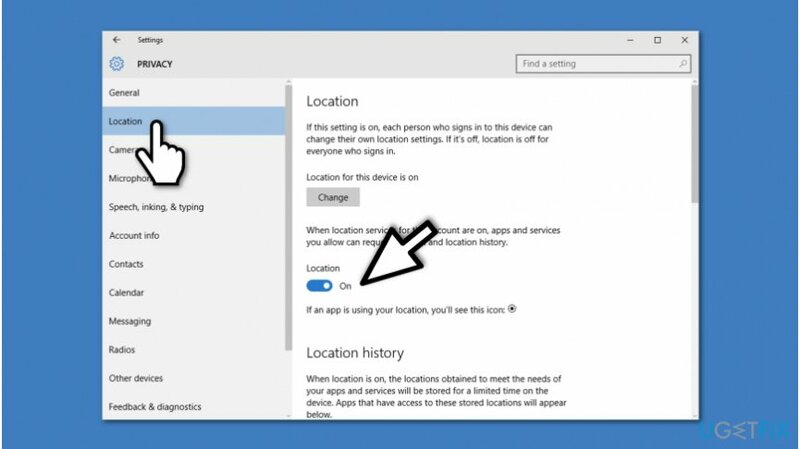 For that, check the instructions appended below and learn how to turn off location services on Windows 10. Before you proceed with the instructions showing how to turn off Windows location services, you should be aware that once you do so, you will no longer be able to use Cortana and see your location in Maps application. If you change your mind and believe that you need location services, you can check your PC with Reimage for PUPs that might be misusing this information. Click on the switch to turn off location tracking. Press the Change button and turn the switch off to disable location tracking. ^ What is GPS?. Civil Simplified. Civil Engineering Workshops and Projects. ^ What is an IP Address? What Does it Do?. What Is My IP Address. Everything You Need to Know.